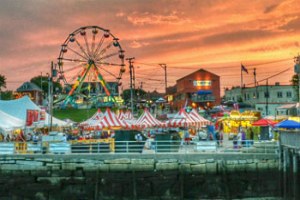 Five days of Feasting and Fun on the fabulous Coast of Maine! The Maine Lobster Festival is run exclusively by volunteers. More than 1,100 volunteers from the community and “from away” help us year after year on the festival grounds. From our board of directors right down to the wonderful men and women who serve lobster dinners to our visitors, our hard work is repaid in the form of happy visitors and the satisfaction of supporting Maine’s lobster industry.